Start your 21st Century Windshield Claim Now! 21st Century windshield replacement and auto glass repairs are fast, easy, and APPROVED with Glas Tek. We are a preferred 21st Century windshield replacement and auto glass repair shop throughout Arizona. We offer a nationwide lifetime warranty which is backed by 21st Century. In addition, Glas Tek will give you up to $150 FAST CASH for just using their auto glass replacement services. Glas Tek makes 21st Century windshield replacement claims fast and easy. They will help you file your claim with just one call directly to them or you can even start your 21st Century auto glass replacement claim online now! Glas Tek makes the whole process simple and worry free. They will answer any of your questions before the claim process begins so that you will be comfortable with the questions that will be asked during the claim process. Plus, Twenty First Century windshield replacement and auto glass repairs will not increase your insurance premium due to Arizona state law! The windshield performs important functions: protect the driver and passengers from foreign objects, make it comfortable to view what’s in front despite strong winds, and enclose the interior to keep it a controlled environment. All of these can be compromised to a certain degree due to physical damage. Perhaps a ball hit the glass or a hailstorm suddenly fell. Small damage will require immediate repairs before the car can be driven safely on the streets again. Massive issues may necessitate a full replacement, especially if the compromised area will affect the driver’s vision. Insurance companies like 21st Century can come in to cover the costs if you carry the a auto glass waiver on your comprehensive insurance policy. Arizona, is just one of the few states that offer this coverage at a very low premium rate. In fact, many 21st Century policyholders may have this coverage and not even know it. In most cases, if you carry this coverage, your 21st Century windshield replacement will be covered fully without any out-of-pocket costs. Plus, Glas Tek will pay you up to $150 CASH for choosing them for your windshield replacement services. In addition, your 21st Century insurance premium will not increase. AZ state law mandates insurance companies to not increase the rate for windshield repair or replacement for any no fault claim. If you need to have your windshield repaired or replaced, then simply initiate the claims process by calling Glas Tek. We can help you initiate the claim and answer all of your questions before starting the claim process. Glas Tek is also a preferred 21st century windshield replacement shop. Their nationwide warranty is backed by 21st Century so that you know that you have chosen the right company to work on your vehicle. Plus, Glas Tek will give you up to $150 Fast Cash with any approved 21st Century windshield replacement insurance claim. The claim process is fast and only takes about 15 minutes of your time. We will help you file your auto glass claim and walk you through the steps in filing the claim. We will even stay on the call with you during the entire claim filing process. You can pick any auto glass repair shop to perform the windshield replacement or repair on your car but Glas Tek is a preferred 21st Century shop . They will help in processing the claim and, once it is approved, will schedule a convenient time for the service to take place. They will go to your house or place of work to perform the work at no cost. Upon completion of the work they will give you up to $150 Cash Back for just using their services. 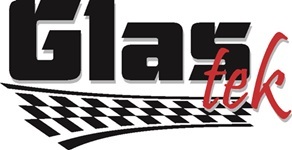 In conclusion, Glas Tek is an approved and preferred 21st windshield replacement shop, they will give you up to $150 Cash, come to your house or work for free, and provide you with a nationwide lifetime guarantee that is backed by 21st Century. Furthermore, your insurance premium will not increase due to filing a auto glass replacement claim due to Arizona state law. The claims team will be asking a few questions in other to facilitate the process. When you are connected to the hotline, be aware that the conversation may be recorded for auditing purposes. The representative will take personal details such as name, phone, address, email, policy number, claim number, and the like. He or she will inquire about previous work done on the vehicle related to the claim and other information regarding your vehicle. Then you will be asked about the incident that led to the damage on the glass. You will also need to describe the extent of it including the size, the location, and the depth. Not every form of damage merits a replacement. If the size of the aberration is small then repair may adequately fix the issue. If it is a crack, then the length must be less than the size of a credit card to be adequately repaired. If it is a chip, then the diameter of the anomaly must be tinier than a quarter and the entire break is smaller than a credit card. However, keep in mind, windshield chip repairs are not a cosmetic fix but a structural fix. Windshield repairs will not fully disappear once completed. Windshield chip repairs can clear up to about 60-80% but the success of the repair is based off of many factors including: the size, location, time, and location of the break. No two windshield chip repairs will come out alike. 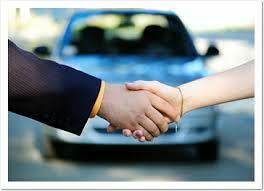 So, it is difficult to compare to another vehicle that you may have had repaired in the past. The purpose of the windshield chip repair is to keep the break from spreading any further. However, if Glas Tek performs a windshield chip repair and you are unhappy with the repair and you carry the auto glass endorsement on your policy, 21st Century will replace your windshield at no charge. Visit our windshield repair FAQ’s page or our windshield chip repair process page for additional information about windshield repairs. Windshield repairs are free for customers with comprehensive coverage on their policy. So, if you carry comprehensive coverage and you have a $500 deductible, 21st Century will waive the deductible for the windshield chip repair. This is the preferred course of action as it is cost-effective, less wasteful, and is able to restore the structural integrity of the glass. In case the problem is worse than the dimensions specified above or obstructs vision, then replacement becomes the solution. 21st Century windshield repairs will not increase your insurance premium. AZ law prevents insurance companies from raising the rates on any no fault auto glass claims in Arizona. The company has been in the business for nearly six decades. It started in 1958 and has never lost its focus on serving the motorists with excellent plans and reasonable costs. It is part of the Farmers Insurance Group of Companies which is known for its leadership in the financial services sector. This is crucial as clients of 21st Century are able to take advantage of Farmers’ impressive network of accredited repair shops across the country as well as other perks that come with being allied to an established name in the business. The company can assure a smooth claims process every step of the way.